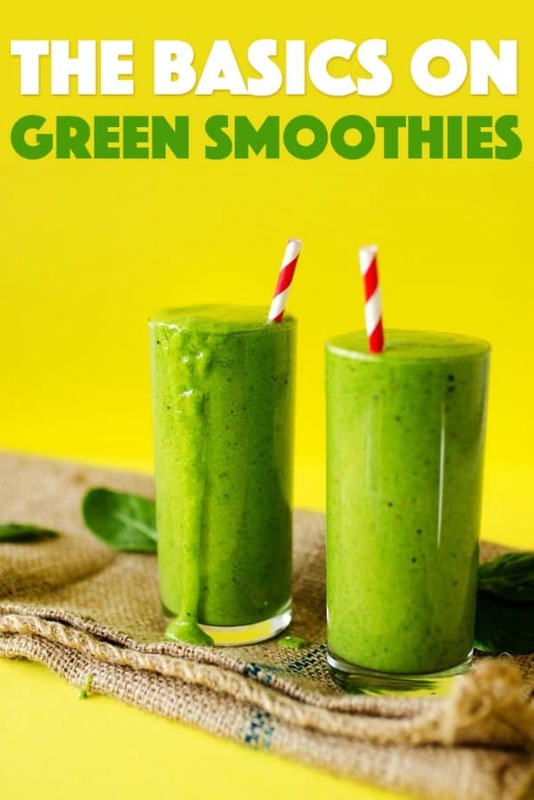 Green Smoothies: the basics on an easy, healthy, and delicious smoothie! 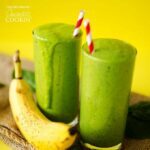 Have you ever wondered about Green Smoothies but have been too unsure to try? Today we’re breaking down the Green Smoothie Basics so you can make ultra simple, way delicious green smoothies to kick off your day! 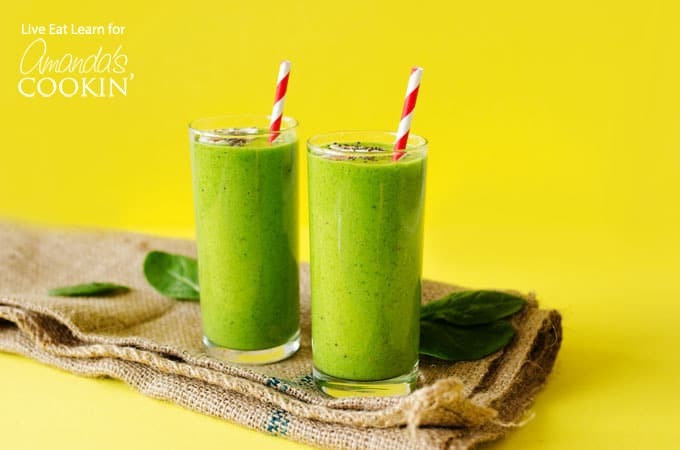 This smoothie recipe is definitely one you’ll want to keep around, just like our Detox Cranberry Smoothie, and also shares similarities with our Cucumber Tropical Smoothie! So I have to admit, even though I studied nutrition and cook healthy food for a living, sometimes I struggle to get in as many veggies as I know I should. I blame my sweet tooth, which urges me to think about dessert far before I think about what I’ll make as a vegetable side dish. But I found a way to get a healthy dose of veggies into my diet easily and without fuss…Green Smoothies! I’ve been making these Green Smoothies since I moved to Holland last year. With the mornings always being a high-paced, go-go-go time in our house, I needed a breakfast I could make quickly and take with me. Within 5 minutes both my boyfriend and I have a delicious breakfast that packs in a full serving of veggies, which keeps us energized all morning! Give it a try, I think you’re really going to love it. The simple formula we’ve listed below can be used with whatever ingredients you prefer. One of our favorite green smoothie combinations is this Cucumber Tropical Smoothie. Check out the section below that gives you the different fruits and vegetables you can use! What are the ingredients to make a green smoothie? What vegetables are good for green smoothies? There are several leafy green vegetables you can use in your green smoothie recipes. We like spinach and kale the best, others include Swiss chard, bok choy, romaine, collard greens and even dandelion! What liquid do I use in my green smoothie? You can make green smoothies with water, milk, coconut water, almond, soy or coconut milk, and even juice. However, juice has added sugar, so keep that in mind when choosing. What fruit do I use for green smoothies? There are so many fruits that work great in a green smoothie! Try banana, all types of berries, mango or pineapple, stone fruits like peaches, cherries or plums, apples and pears are great too, and you can even use oranges, avocado, and grapes. You can certainly add yogurt, but if you do we suggest not using banana. As we mention in our basic green smoothie recipe, we use either yogurt or banana as the creamy base. What about superfoods and flavorings? oh yes, you can definitely add superfoods such as chai, flax or hemp seeds, and hemp or acai powder. For flavorings, you can add any pure extracts like vanilla or almond, nut butters such as almond or cashew butter, and cocoa powder, cacao nibs or cinnamon. Can you make smoothies and freeze them? Yes! If you like, you can make green smoothie popsicles! if you want to drink it though, freezing and thawing a smoothie requires a little forethought. Make batches of your green smoothies and store them in individual serving containers with about an inch headspace. The night before you want to have your smoothie, move it from the freezer to the refrigerator. There are several other options for freezing smoothies here. How do I make my own green juice? Green juice can be made in a blender or a juicer. I have a juicer and it makes removing the pulp super easy. if you don’t have a juicer, simply throw the ingredients into a blender. You can push the ingredients through a fine-mesh sieve to remove the pulp. But remember, all the fiber is in the pulp! Get a green juice recipe here. These smoothies are packed with delicious vegetables. That’s right, delicious vegetables. Made into beautifully colored green smoothies! If you’re interested in more yummy smoothies check out our Cozy Coconut Smoothie, Almond Maple Smoothie, Cinnamon Roll Smoothie, the classic Strawberry Banana Smoothie or this Loaded Coffee Breakfast Smoothie! Lastly, for more healthy lunch ideas, you won’t want to miss our Mix and Match Meal Prep ideas! Full of healthy and filling ingredients, it’s perfect for those New Years resolutions! Have you ever wondered about Green Smoothies but have been too scared to try? Today we’re breaking down the Green Smoothie Basics so you can make ultra simple, way delicious smoothies to kick off your day! Combine liquid and greens in a blender until smooth. Add the rest of your ingredients and continue blending until smooth. Serve immediately.